Real USDA inspected white meat chicken sourced from the USA and Canada is the #1 ingredient along with other proteins like chicken meal, pea protein, and eggs. 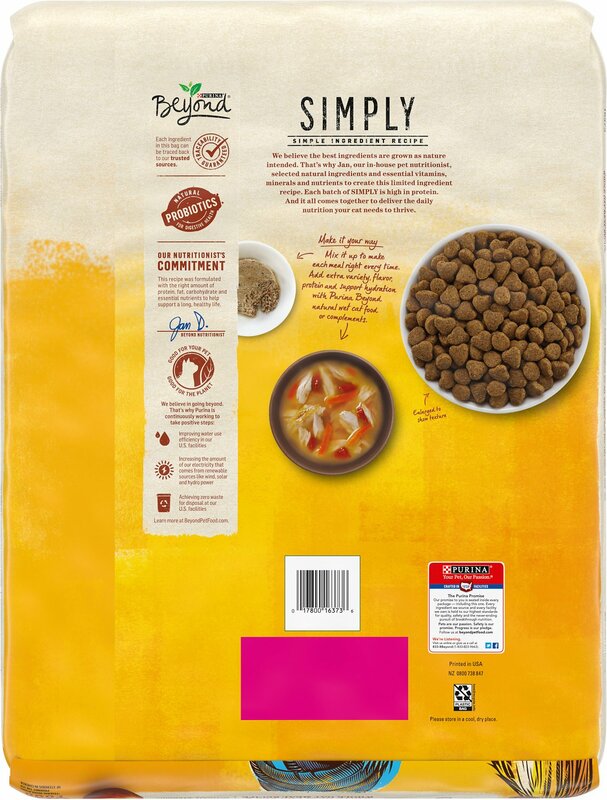 Complete and balanced meal for adult cats that includes healthy whole grains like barley, oat meal, and brown rice which are a high quality source of carbohydrates and fiber sources. 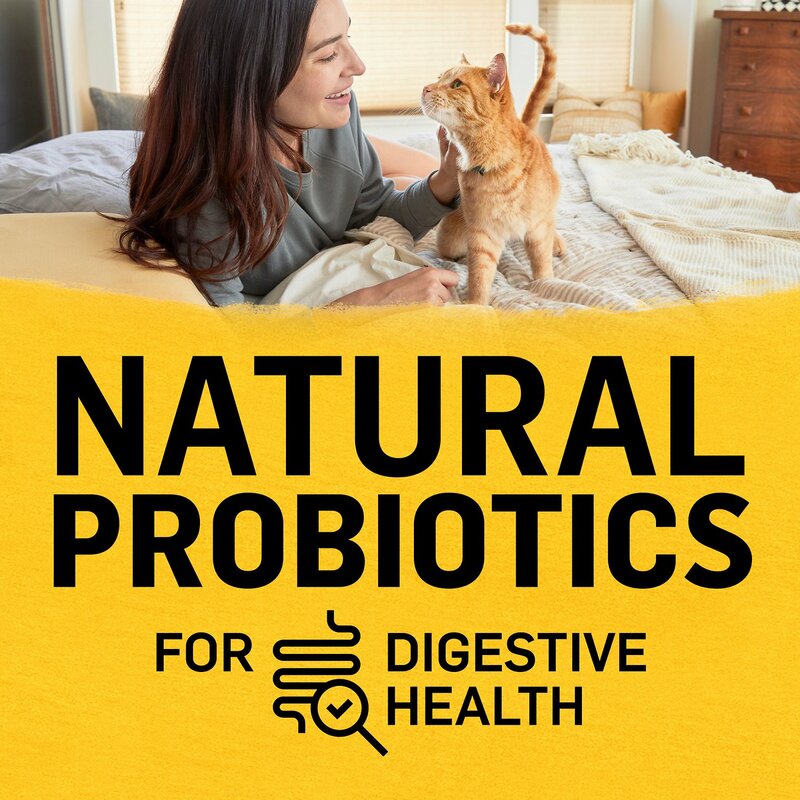 Contains no corn, wheat, soy, poultry by-product meals, added artificial colors, flavors or preservatives, so you can feel confident about feeding to your loved one. Added Taurine, an amino acid, helps support normal heart muscle function and eyesight. Carrots, sweet potatoes, and apple add an extra nutrient boost for your cat. Made in the USA in Purina's own facilities! Old Formulation: Chicken, Chicken Meal, Pea Protein, Dried Egg Product, Whole Barley, Whole Brown Rice, Whole Oat Meal, Dried Yeast, Beef Fat Preserved with Mixed-Tocopherols, Dried Beet Pulp, Natural Liver Flavor, Phosphoric Acid, Salt, Sodium Bisulfate, Dried Carrots, Dried Sweet Potatoes, Dried Apples, Taurine, L-Lysine Monohydrochloride, Potassium Chloride, Choline Chloride, Calcium Carbonate, Vitamin E Supplement, Zinc Sulfate, Ferrous Sulfate, Niacin, Manganese Sulfate, Vitamin A Supplement, Calcium Pantothenate, Thiamine Mononitrate, Riboflavin Supplement, Copper Sulfate, Vitamin B-12 Supplement, Pyridoxine Hydrochloride, Folic Acid, Vitamin D-3 Supplement, Calcium Iodate, Biotin, Menadione Sodium Bisulfite Complex (Source of Vitamin K Activity), Sodium Selenite. New Formulation: Chicken, Chicken Meal, Whole Barley, Rice, Whole Oat Meal, Dried Egg Product, Pea Protein, Dried Yeast, Beef Fat Preserved with Mixed-Tocopherols, Pea Fiber, Natural Liver Flavor, Phosphoric Acid, Salt, Potassium Chloride, Calcium Carbonate, L-Lysine Monohydrochloride, Sodium Bisulfate, Dried Carrots, Dried Apples, Taurine, Vitamins [Vitamin E Supplement, Niacin (Vitamin B-3), Vitamin A Supplement, Calcium Pantothenate (Vitamin B-5), Thiamine Mononitrate (Vitamin B-1), Vitamin B-12 Supplement, Riboflavin Supplement (Vitamin B-2), Pyridoxine Hydrochloride (Vitamin B-6), Folic Acid (Vitamin B-9), Menadione Sodium Bisulfite Complex (Vitamin K), Vitamin D-3 Supplement], Choline Chloride, Minerals [Zinc Sulfate, Ferrous Sulfate, Manganese Sulfate, Copper Sulfate, Calcium Iodate, Sodium Selenite]. F-4260. Use the recommended amount to fill your cat's bowl in the morning, so your cat can enjoy Purina Beyond throughout the day. Ideal body condition should be maintained by adjusting this amount based on your cat's age, activity and environment. Nutritional needs will change over time. You can best serve your pet by feeding the amount that maintains a healthy weight, whereby you can easily feel your cat's ribs. Although you'll be anxious to see the difference Purina Beyond can make in your cat, please allow 7-10 days to ease the transition from your cat's current food. This will help avoid stomach upset. Each day, simply feed a little less of the previous food and a little more Purina Beyond until you're feeding Purina Beyond exclusively. The FDA is investigating a possible link between peas (whole, flour, protein, etc. ), lentils, potatoes and grain-free pet foods, and heart damage in dogs and cats. I wonder if that has anything to do with the new formulations of this and some other foods? It looks like peas are lower down on the ingredient list in the new formula, which is supposed to mean less of that ingredient, by weight, in the new food. I'd like a food with no peas or pea product, or lentils, etc. There should be more testing before they add new stuff to pet foods, such as replacing grains with peas. One of my cats hates all kinds of canned food. She will eat it maybe 4 times a year and doesn't like people food either. She pretty much lives on dry and this is the only thing she likes. She's also blind so smell, taste and texture are very important to her. I was worried when they recently changed the formula, but she continues to like it. I wish it still had the higher protein %, but at least Luna will eat it! Not sure that I like the new formulation as much as the last one. Less protein in the new version and a slight ingredient change. 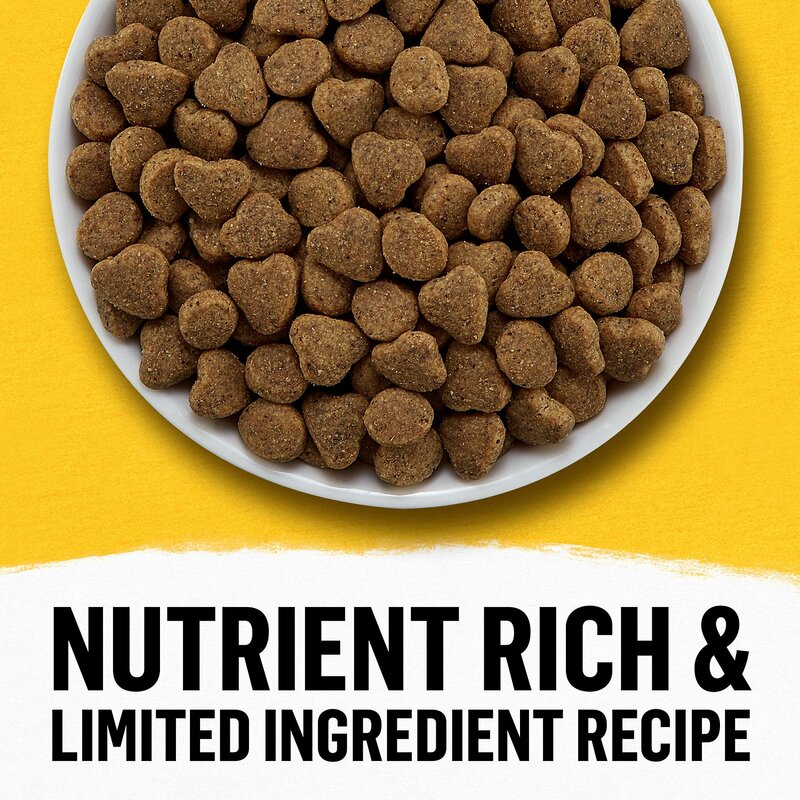 Our cats all loved the old formulation and actually ate all of it, while leaving another brand of kibble behind (we mixed two different brands together). Soon we were feeding 100% of Beyond Simply. Time will tell for this new version. So far, they seem to be eating it. This food seems expensive since it does not contain probiotics and is also fairly high in magnesium which isn't good for urinary tract health. I'm not a fan of it, but some of the cats like it. Will not buy it often. We Use This For Our Hedgehogs! We have been using this cat food for our hedgehogs for the past 2 years now and they seem to love it! It was recommended as one of the top cat foods for hedgies as commercial hedgehog food is rarely good for hedgies. I like this because it's affordable and lasts a long time plus our babies love it so it's a win/win! Most stores don't carry this anymore so with me placing a Chewy order every two weeks, it works out well that Chewy has it! While I personally have not tried this cat food :^) my cats certainly seem to enjoy it. all 3 come to their bowls when I put it in and eat every morsel. I guess it's a winner. I do mix 3 brands of food to give them variety, but since I've added this one in there are no morsels left in the bowl. My baby won't eat any other dry cat food. I change flavors every month for him. I love how I can do that w/my auto ship order with no problems. Thanks Chewy! Recently ran out of cat food and bought this. My cats love it so I’ve switched. My cat loved the Purina Naturals I was feeding him. It was not available for this purchase so I am trying the Beyond. So far, Felix is not thrilled about the change but cats are notoriously finicky so I am hoping he will start eating this food with more enthusiasm. 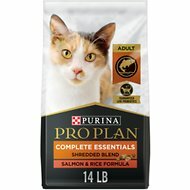 My Persian kitty loves this dry food. Very healthy food for a very healthy cat. FYI...The packaging design is a new look but same great product.